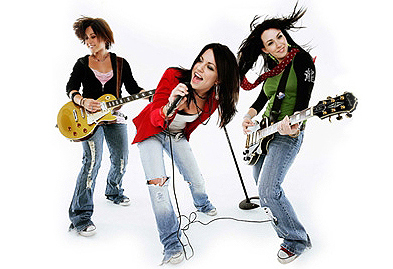 Combining sweet pop harmonies with a rock edge, Everlife consist of the Ross sisters: vocalist/guitarists Amber and Sarah and lead vocalist Julia. 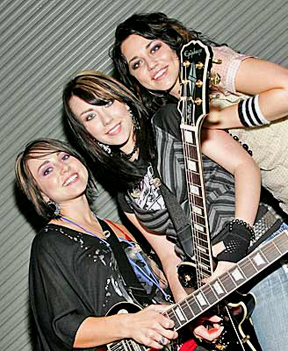 Born and raised in Indiana, PA, the sisters began playing in 1998, when youngest sibling Julia was only eight. “Our Mom was crazy about 1950’s and 60s rock’n’roll,” Sarah adds. “We would all be dancing around the kitchen belting out Chuck Berry’s “Johnny B. Goode” and “Bye Bye Love” by the Everly Brothers.” It was those tunes that introduced the girls to the impact of sweet vocal harmonies that they are now so well known for. After relocating to Nashville, Tennessee in 2003, Everlife's fresh sound and natural songwriting talents quickly put them on the radar of many major record labels. Under the guidance of producer Kevan Cyka (Lifehouse, REM, Gin Blossoms, Hillary Duff, Jump 5) and Dan Needham (Stacie Orrico, Steven Curtis Chapman), Everlife produced its self-titled debut project (2007). Cyka's multi-platinum songwriting/publishing history, combined with Needham 's studio prowess, has helped create the musical platform of Everlife's sound. "We love working with Kevan and Dan," explains Sarah, "They are a wealth of knowledge and they always know the direction we need to go in before we start working. We are individually finding our strengths while we grow together as a band. It's been a fantastic experience." Amber echoes, "It's been amazing to see how this team has been able to help one other while we're writing and in the studio. We are seeing our lives change though this process, and hope that the music will have the same effect on people who hear it." Since arriving on the music scene the band has reached a number of milestones including their first single "Evidence" which was added 'out of the box' to CHR Radio. Additionally, the single charted for five weeks on the Rock Charts. Radio Disney tested their song "I'm over it" on 'Pick it or Kick it', with a whopping approval rating of 83%, putting the song on the air. 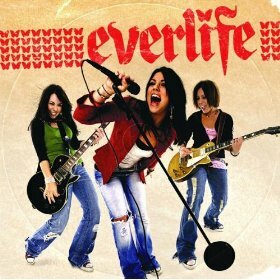 Disney continued to show their commitment to Everlife by adding them to a DisneyMania project, releasing February 2005. This project features core artists singing Disney songs 'their way.' Everlife was chosen to perform "Strangers Like Me" by Phil Collins from the Tarzan movie. “Finding a swift hook in a song or writing a catchy tune is an amazing feeling, but impacting someone’s life forever through that one song that grips them and makes sense with their life is priceless to us,” the group adds. “That's the kind of music we want to create!"